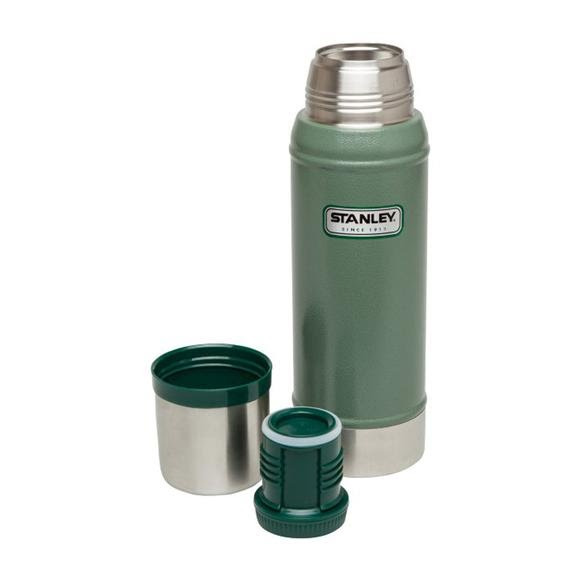 When you want the classic style of Stanley's 1.1QT but don't need quite as much, this sleeker option fits just right. Packable and more portable, this thermos will keep your coffee hot and at the ready nearly all day. When you want the classic style of Stanley &apos;s 1.1QT but don&apos;t need quite as much, this sleeker option fits just right. Packable and more portable, this thermos will keep your coffee hot and at the ready nearly all day. Measurements 11.8" x 3.4" x 3.4"